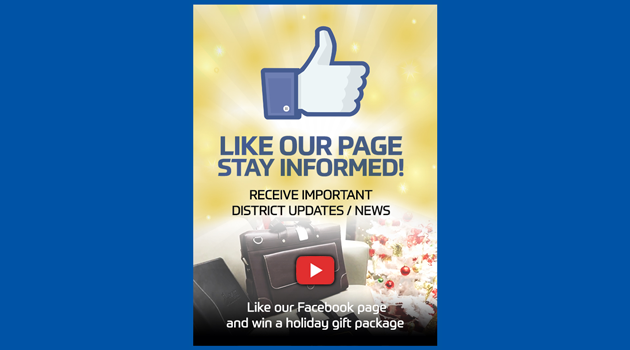 Home NEWS & EVENTS Like our Facebook page and win a holiday gift package! Like our Facebook page and win a holiday gift package! Like our Page & Stay Informed! Like our Facebook page and win a holiday gift package.